I had the opportunity to spend the last week in the Boundary Waters Canoe Area Wilderness in upper Minnesota. This was my second foray into this pristine and preserved country, and it was a refreshing time of being still, unhurried, and quiet. Along with a meditative repose, I had the opportunity to push myself physically as well as spend some cherished time with a great group of guys. It was a blessed time that I’d encourage everyone to consider at least once in their life. My group was all guys, and that always makes for a different flavor of conversation and fun. It was like nine boys running around the wilderness, climbing rocks, fishing, and eating anything that looked edible (truth be told, we probably ate it even if it didn’t look edible). During the trip, we shared life stories around the campfire and spent time meditating on various spiritual disciplines like silence, simplicity, solitude, fasting, and rest. As I reflect on the journey, several important lessons come to mind. 1. My life is way too noisy. I arose to catch every sunrise I could during the trip, and I was blown away by the sacredness of silence. It was just me, God, and his beautiful creation. As I watched the Boundary Waters wake up, I couldn’t help but reflect on the noisy nature of my own life. Somewhere along the way I let my life get way too crowded with status updates, text messages, tweets, TV ads, radio blurbs, music, etc. Sitting there in creation reminded me that not only is silence a good thing, it’s a necessary thing. I realized this even more so when I got back home. Something inside me craved the silence and the stillness. 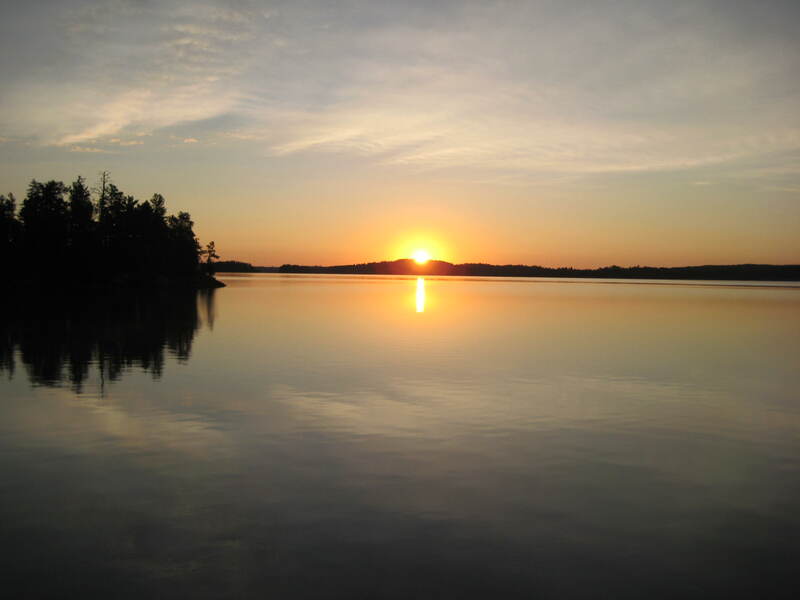 The Boundary Waters wakes up. 2. Time with God needs to be unhurried. Not knowing the time each day and recognizing that I had a whole day of unhurried time in front of me was life-giving to my relationship with God. It’s so easy to be hurried in my time, feeling the internal pressure of the next thing or the next appointment. I realized that back home I felt almost guilty about my time as if silence and stillness were unproductive and wasteful. The truth is that nothing makes me more productive than being reflective and prayerful. It’s hard to really commune with God when you’re thinking about the 1001 things you need to get done that day. 3. Each person’s story matters and is a testament to the grace of God. Hearing the life stories of each member of the team around a meal was so powerful. It’s amazing how God orchestrates and directs the paths of our lives and how he constantly redeems beauty from ashes. I was reminded that I need to spend the time to listen and learn about each person I relate to. I tend to assume so many things about people just based on outward appearances. Hearing about the priorities, values, beliefs, and relational circles that each of these guys held helped bring my own into focus. It was especially powerful to affirm one another at the end of the trip because we had shared our lives with each other so intimately. We could piece together what made each of us tick based on the life experiences and journey we had come through. 4. I need a wilderness time to restore my heart and soul. Again, I was reminded of how much I need to take some time to be in the outdoors each summer. There’s something rejuvenating about camping out in the wild and living a simple sort of life if only for a week. Even though I’m physically exhausted, my heart feels full and my spirit feels rejuvenated. I supposed that when my body catches up with my spirit, I will be ready for this new ministry year!